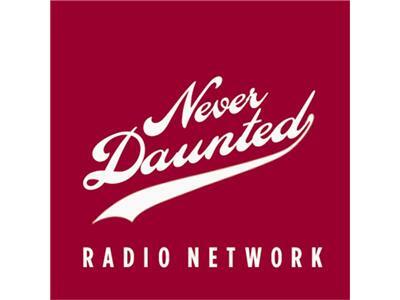 A Sorta Good Deed in a Weary World, or, "Road Rage Follies"
Tonight on a remorseful edition of the Never Daunted Radio Network, we skid into the finish line of the week with a quartet of stories that highlight the foibles of the human condition, because it's a slow news day but we have a show to do! First, just when you thought all hope in the world was lost, news comes of a break-in that ended up being a give back, when just hours after the San Bernardino County Sexual Assault Services was robbed of several computer, monitors, and other valuables. 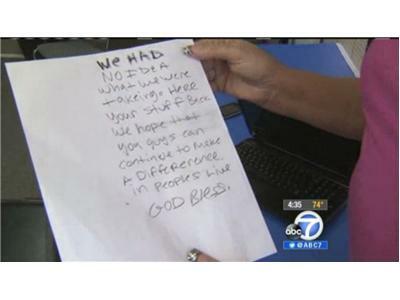 The thieves returned...to bring the stolen items back...complete with an apology note. Next, remember that Black friend white people always seem to tell you about when they're in the midst of saying something racist? Yeah, they probably don't exist. 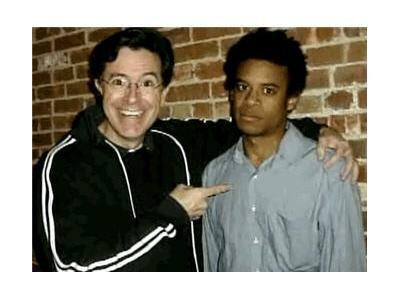 According to a new poll 40% of white Americans have no non-white friends, and about 25% of non-white Americans have zero friends outside their own race. 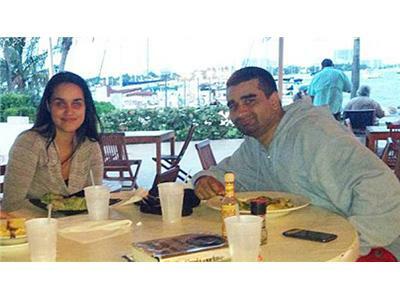 Later, after discussing the potential of social media to unless more and more grim realities, a horrifying crime scene in South Miami hit Facebook Thursday when a man posted a photo of his dead wife -- and a confession that he had killed her. We'll look at the how this came to be, and why things will ultimately get worse before they get any better. Finally, the #DontBeDumb movement pushes on as a Norfolk, Va., man faces weapons charges after accidentally shooting himself in the leg during a road rage incident after he was flagged for speeding in a residential neighborhood where children were playing.